I have resisted posting more excerpts because… the book is finished! Mostly. Still some editing, re-organizing, layout etc. I’m a couple of months away from a real, tangible product, but the original writing is generally finished. Once the cover design is finished, I will launch my new website at http://NoOrdinaryBoy.com, where you can learn more about the book itself. Also upcoming: I’m running a workshop in November with Maria McDonald, bioethicist at Holland Bloorview Kids Rehabilitation Hospital. We will be presenting at the bi-annual Child Development Update Conference, which is attended by pediatric specialists and clinicians. I hope to do more work in medical training and parent education once the book is finished. I’m still formulating an overall strategy – there will be more information about speaking engagements and workshops on the book website. I’m so excited about this and I can’t wait to see how it all unfolds! 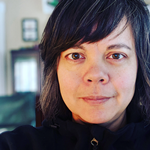 Jennifer Johannesen is a speaker, author and blogger whose main themes of discourse include the challenges and ethics of substitute decision-making in healthcare. 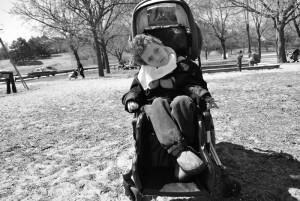 Her expertise was earned through experience; her 12 year old son, Owen, passed away in October 2010 after a lifetime of undiagnosed, severe multiple disabilities. Jennifer’s narratives highlight the often complex relationships between institutions, clinicians, patients, and parents – which can be further complicated by conflicting agendas and expectations. Jennifer is also a website developer and social media strategist. Hurray…can’t wait! Excellent bio. I know that you bring a measure of sensitivity and authority to the subject matter. I can’t believe it. How did you do it? Congratulations! I can’t wait to see the book and see the new website. And I would love to hear more about what you are specifically speaking to at the conference. Wow. You’re on fire. I can’t wait to see what you’ve written, imagining it to be perfectly beautiful and a testament to your Owen. I’m so intrigued, too, by your bio and the work that you’re doing in ethics. I wish that there were something similar here in the states or near to me that I could become more involved in — the little bit of work that I have done in healthcare has been in “improvement” work, and it’s completely status quo half the time and mighty discouraging. Way to go Jennifer! I am so happy that you have achieved the amazing accomplishment, and are finding ways to express yourself and share your story..and honoring Owen. Can’t wait to see the final book…you’re samplings have been amazing..as are you! Congratulations, and all the best with what’s ahead! never on my radar before and this pops up twice. Thinking you may want to connect and speak to their classes…. Congrats Jen. Looking forward to seeing the book. i am currently in Anguilla awaiting Owen’s delivery of equipment with other donations. i wanted to let you all know that your family were able to bless 6children and 2centers in both canada and the carribean. Owen’s first chair is going to a little girl Nekia, and his last one to a 17 year old that cant leave home, Eulida. the medications were sent to the darling home in halton that provides palliative care and hospice care for families, sunnyview provided a suction machine to a family in need. all gravity feeding and suction products went to a 19 year old with a traumatic head injury in anguillla without health insurance,Quinn. he can only communicate with a yes or no. the bath chair will serve as a method to finally bath eulida. please go to blossom centre on face book (in Anguilla) to see pics from this last week. i will ask the families to send me a picture when the pallet arrives.